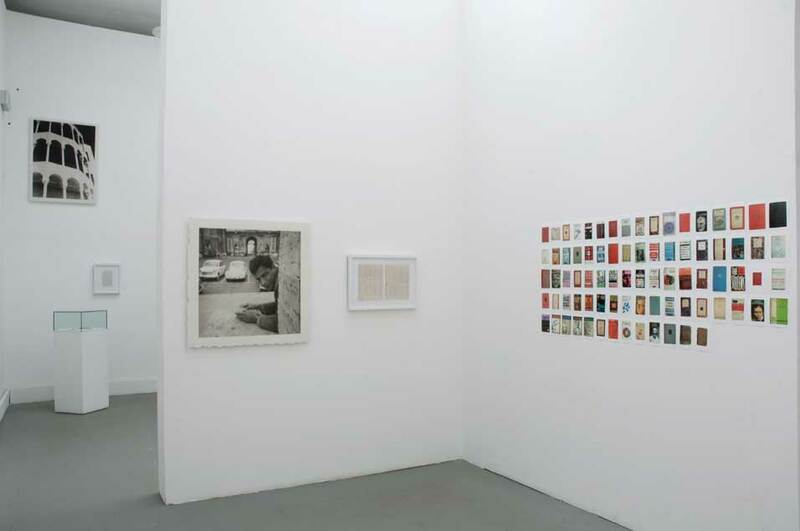 Emily Jacir, Material for a film, 2005-ongoing [detail], Multimedia installation, Dimensions variable, Installation view, Think with the SensesFeel with the Mind: Art in the Present Tense, 52nd International Art Exhibition, Venice, 2007. Photo by Giorgio Zucchiatti, courtesy the artist and Alexander and Bonin, New York. NEW YORK, NY.- Palestinian-American artist Emily Jacir has been named the winner of the HUGO BOSS PRIZE 2008, it was announced last night by the Solomon R. Guggenheim Foundation and HUGO BOSS. Jacir, who received the Golden Lion Award for an artist under 40 at the 52nd Venice Biennale in 2007, is the seventh artist to win the prestigious HUGO BOSS PRIZE, a biennial award that was established in 1996 by HUGO BOSS and the Solomon R. Guggenheim Foundation to recognize significant achievement in contemporary art. The prize carries an award of $100,000 and is administered by the Foundation. A jury comprising an international panel of museum directors and curators selected Jacir from a group of six short-listed artists. An exhibition of the prizewinners work will be on view at the Guggenheim Museum from February 6 through April 15, 2009. In addition to Ms. Jacir, the HUGO BOSS PRIZE 2008 finalists included: two Swiss artists  Christoph Büchel, b. 1966, best known for his large-scale installations, and Roman Signer, b. 1938, known for his sculpture, installations, and films; two Americans  Patty Chang, b. 1972, whose work includes performance, photography, video, and sculpture, and Sam Durant, b. 1961, whose multimedia practice includes installations, photography, sculpture, drawing, and video; and Danish artist Joachim Koester, b. 1962, who creates installations of film and photography. Emily Jacir (b. 1970, Palestine) received a Bachelor of Arts from the University of Dallas at Irving and a Master of Fine Arts from the Memphis College of Art. She also participated in the Whitney Independent Study Program in 1998-99 and currently lives and works in Ramallah, Palestine, and New York. Spanning a diverse range of mediums Jacir's work addresses repressed historical narratives, politicized land divisions, movement (both forced and voluntary) and the logic of the archive. Her practice has involved working directly with the Palestinian community and the larger Arab community both locally and internationally through collaborative exchange and social interventions. In 2007, Emily Jacir received the Golden Lion Award for an artist un der 40 at the 52nd Venice Biennale and the Prince Claus Award, from the Prince Claus Fund for Culture and Development, The Hague. She has participated in the National and International Studio Program at P.S. 1 Contemporary Art Center in New York (2000-01) and the Lower Manhattan Cultural Council Studio Residency Program, New York (1999-2000). According to the HUGO BOSS PRIZE criteria, the award is given to an artist whose work represents a significant development in contemporary art. The prize sets no restrictions in terms of age, gender, race, nationality, or media, and the nominations may include young, emerging artists, as well as established individuals whose public recognition may be long overdue. This year marks the seventh presentation of the HUGO BOSS PRIZE at the Guggenheim Museum. Since its inception in 1996, the award has become firmly anchored in the contemporary art world and also underscores the Guggenheims continuing commitment to contemporary culture. The prize has been awarded to American artist Matthew Barney (1996), Scottish artist Douglas Gordon (1998), Slovenian artist Marjetica Potrc (2000), French artist Pierre Huyghe (2002), Thai artist Rirkrit Tiravanija (2004), and English artist Tacita Dean (2006). Previous finalists have included Laurie Anderson, Janine Antoni, Stan Douglas, Cai-Guo Qiang, and Yasumasa Morimura in 1996; Huang Yong Ping, William Kentridge, Lee Bul, Pipilotti Rist, and Lorna Simpson in 1998; Vito Acconci, Maurizio Cattelan, Michael Elmgreen and Ingar Dragset, Tom Friedman, Barry Le Va, and Tunga in 2000; Francis Alÿs, Olafur Eliasson, Hachiya Kazuhiko, Koo Jeong-a, and Anri Sala in 2002; Franz Ackermann, Rivane Neuenschwander, Jeroen de Rijke and Willem de Rooij, Simon Starling, and Yang Fudong in 2004; and Jennifer Allora and Guillermo Calzadilla, John Bock, Damián Ortega, Aïda Ruilova, and Tino Sehgal in 2006. In conjunction with the 2008 HUGO BOSS PRIZE, the Guggenheim has published a catalogue that features the work of all of the finalists, including special projects by each artist. The catalogue, designed by Helicopter L.L.C., includes essays by T.J. Demos, Liza Johnson, Shanna Ketchum-Heap of Birds, Lars Bang Larsen, and Gerhard Mack, with an introduction by Joan Young, Associate Curator of Contemporary Art, Solomon R. Guggenheim Museum. The catalogue is available for $19.95.